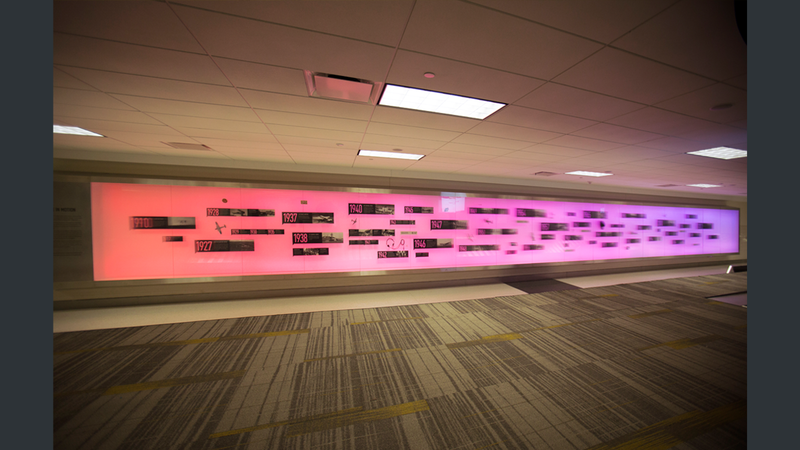 G2LD worked with Re:Site and MetaLab on this dynamic art installation placed at Houston's Hobby Airport. 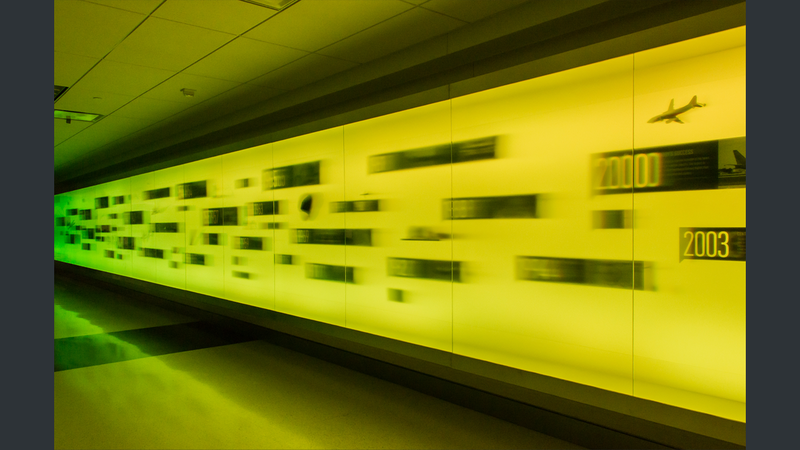 From a distance, the expansive wall of light serves as a bold and compelling piece of public art. 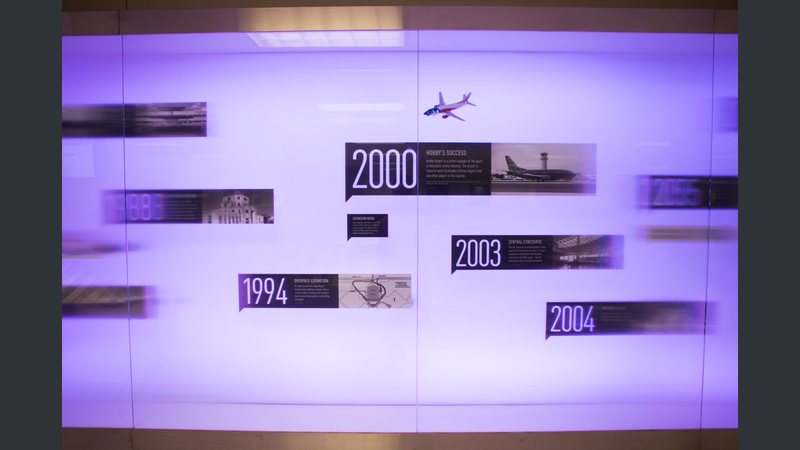 Up close, an interpretive timeline is revealed, which tells the 75 year history of Hobby Airport. 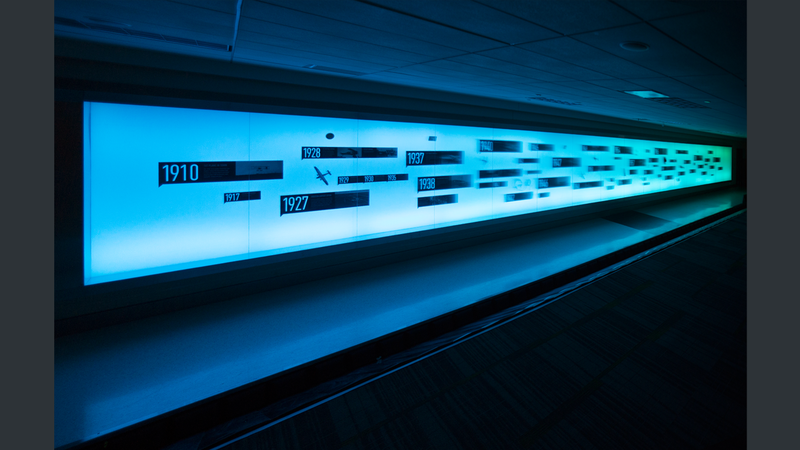 According to the artist, 'The effect of a "timeline in motion" is also made possible by Lumisty, a special glass that is transparent when viewed at certain angles and foggy at others. 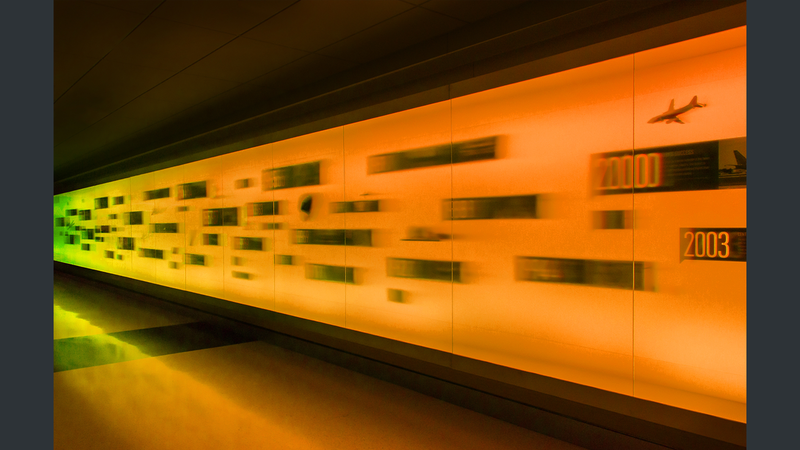 The foggy distortion creates a motion blur effect with the interpretive exhibit behind the glass.' 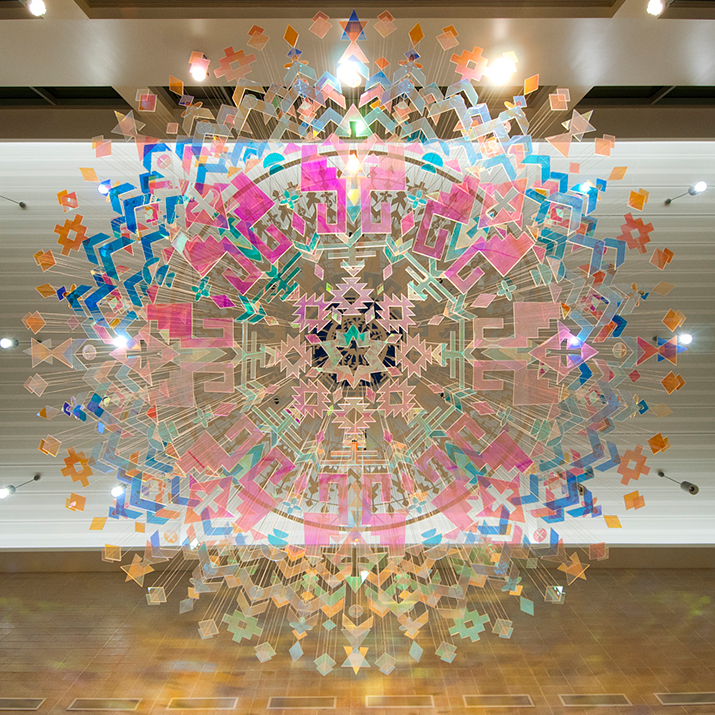 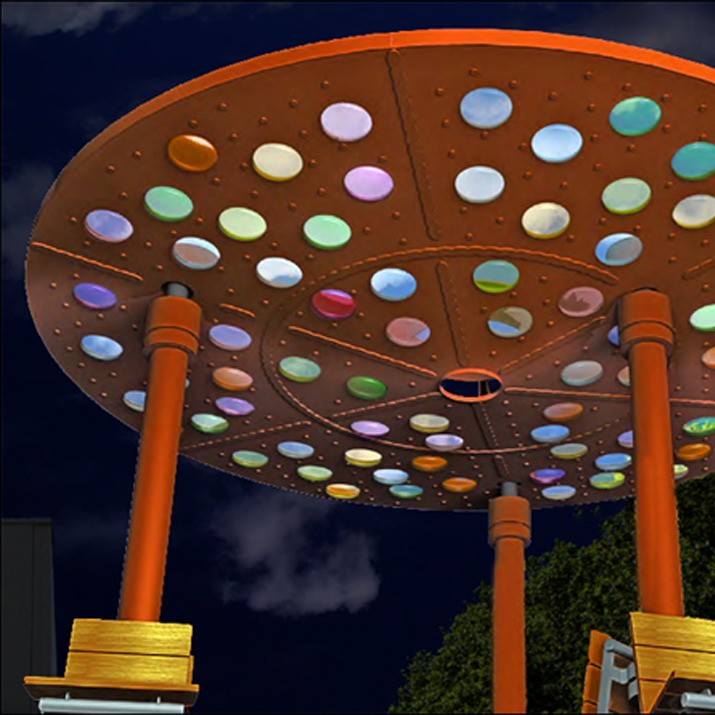 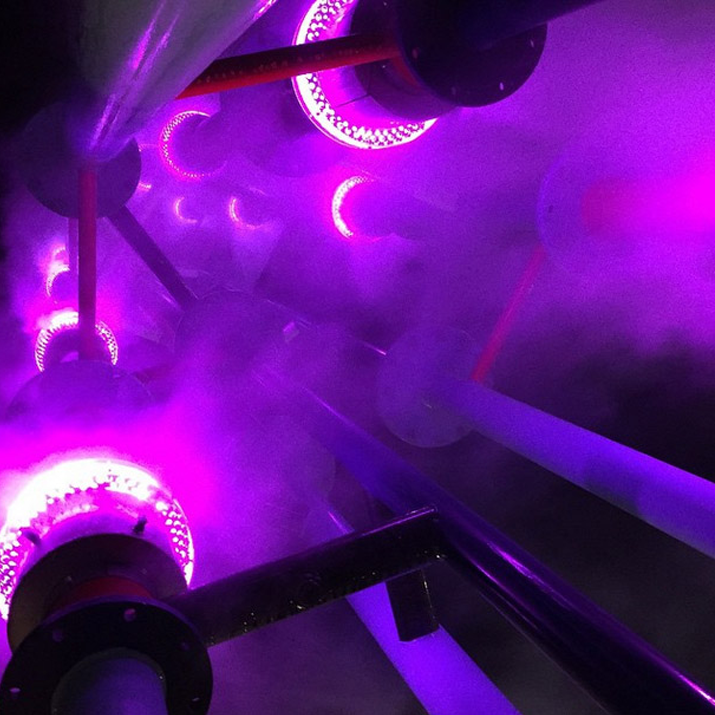 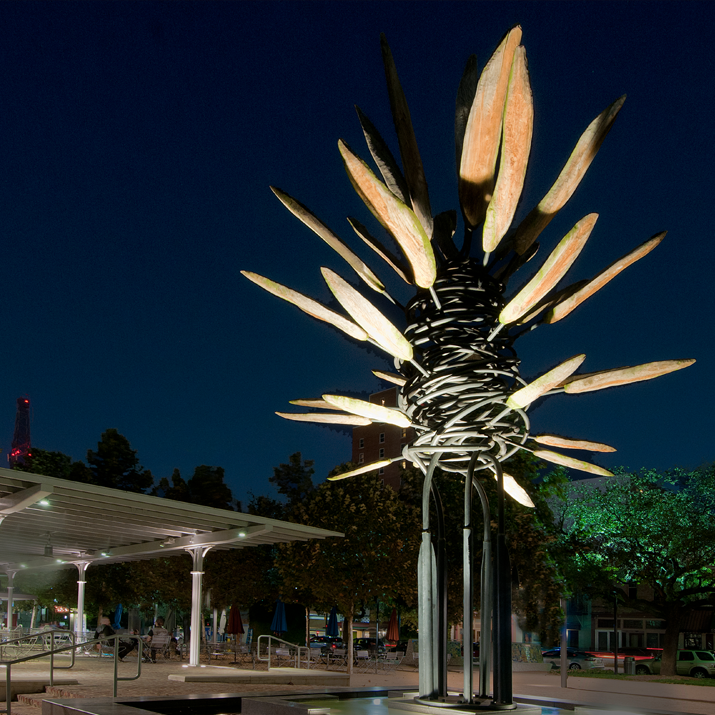 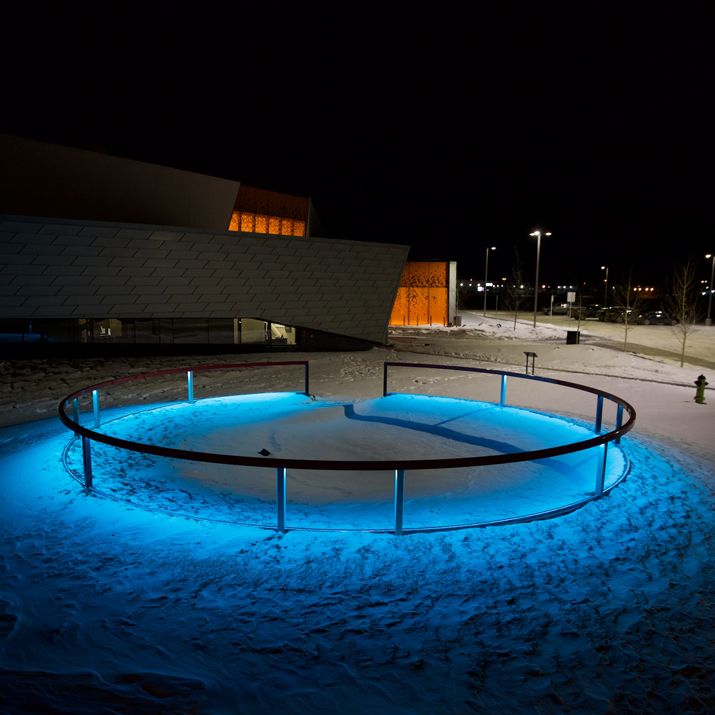 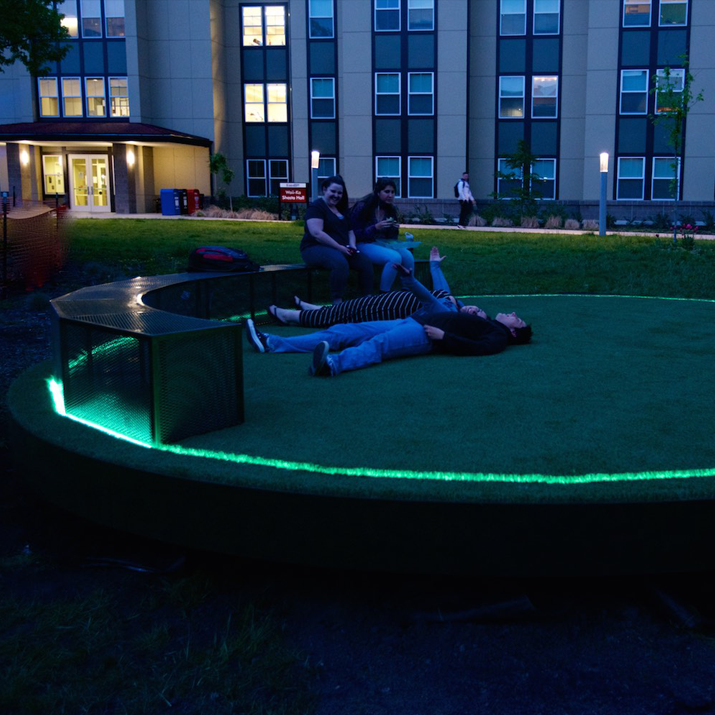 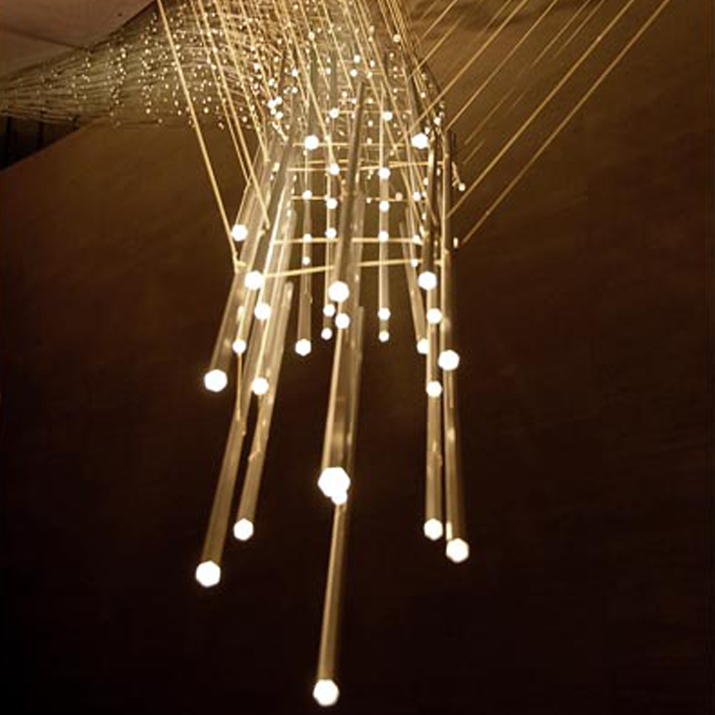 Color changing LEDs enhance this experience, allowing the piece to seemingly move and change in front of the viewer.